Bellevue West edges Creighton Prep, 69-66, on Friday night. BELLEVUE, Neb. 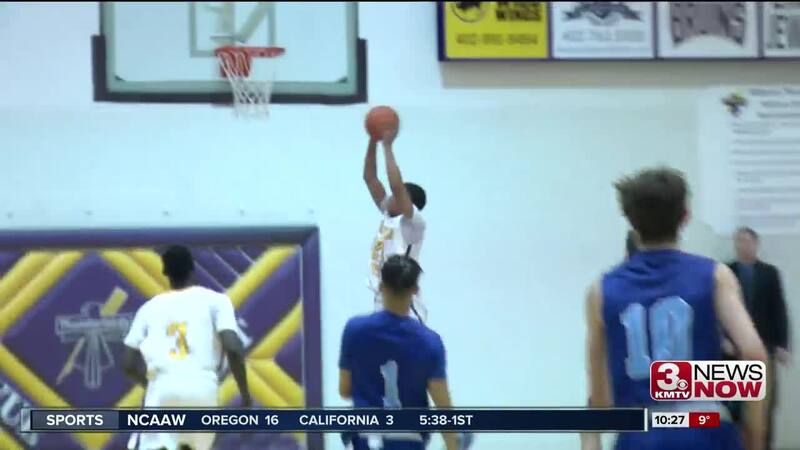 (KMTV) — Chucky Hepburn banked in the go-ahead three pointer with less than 10 seconds remaining as top-ranked Bellevue West beat Creighton Prep on Friday night, 69-66. Hepburn also threw down the dunk as time expired to give the T-Birds their 2nd win this season over last year's Class A champs. Watch the highlights by clicking on the video above.